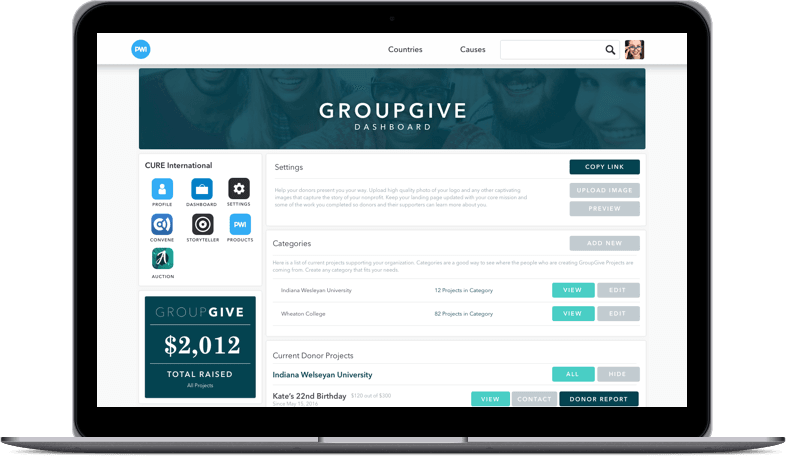 Supporters who become GroupGive Users can start a fundraising campaign to help you make a better tomorrow. 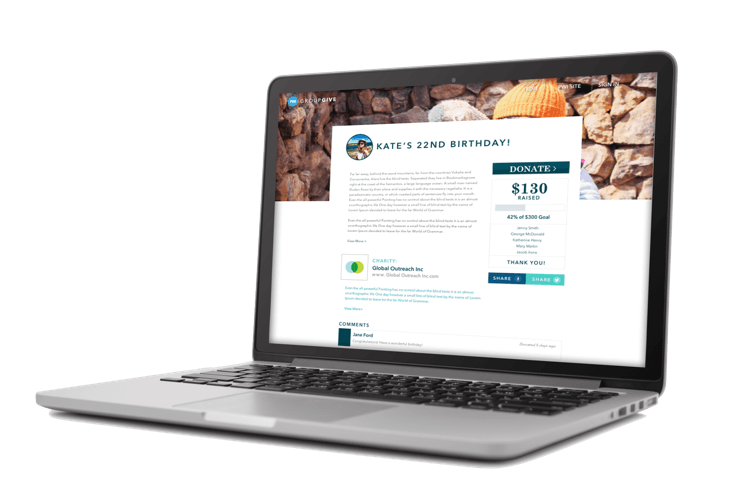 They can start a fundraising campaign to benefit your nonprofit and have friends support them on their journey. 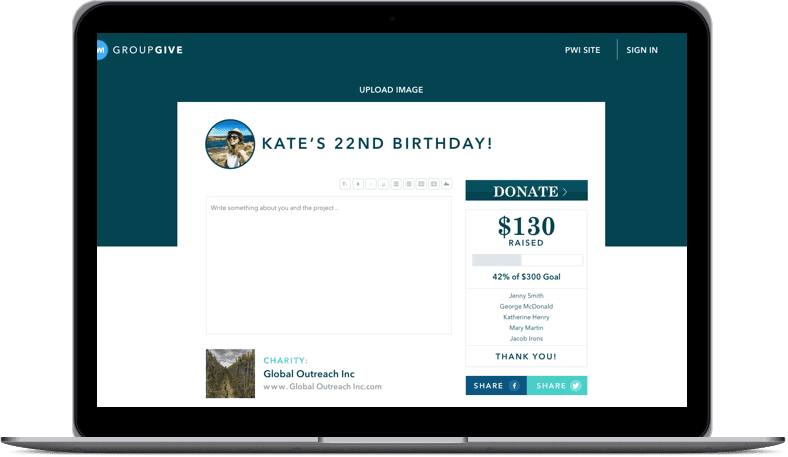 Users can donate their birthday, sponsor a certain project of yours, or even run a race on your behalf. What your supporters have to do? Millennials are breaking the traditional fundraising mold. They are more cause-conscious, but don’t yet have the income or savings to donate large amounts. Peer-to-peer fundraising is a great solution for them—it allows them to make a difference plus it’s fun, social, practical. 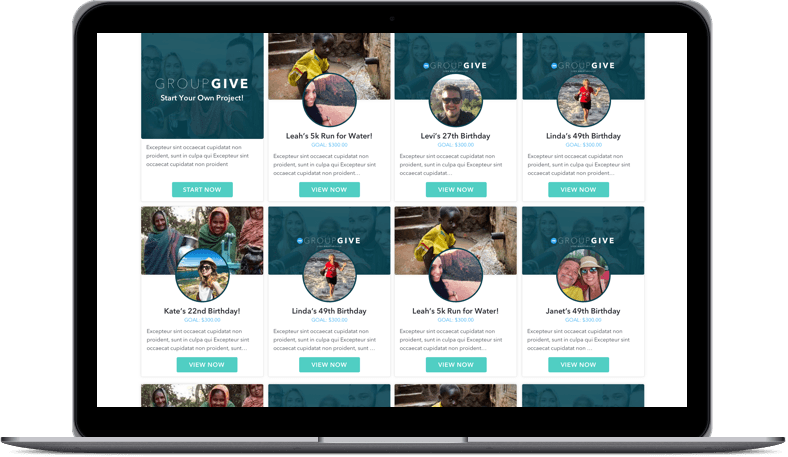 Project World Impact allows you to set up your own peer-to-peer fundraising platform—and takes 0% of anything raised. YOUR SUPPORTERS CAN MAKE A DIFFERENCE - PLUS IT'S FUN, SOCIAL, AND PRACTICAL! supporters can easily create and manage their projects. Join PWI today and have supporters start new campaigns today!